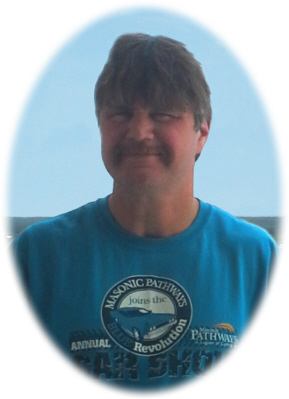 Bill Dean May age 52, of Breckenridge, MI, passed away Monday, October 22, 2018, at Mid Michigan Medical Center, Midland, MI. A Graveside Service will be held at Pine Grove Cemetery, Ithaca, MI on Thursday, October 25, 2018 at 2:30 P.M., with Pastor Brian Teed officiating. Visitation will be held on Thursday, October 25, 2018 from 12:00 P.M. until 2:00 P.M. at Smith Family Funeral Homes, St. Louis, MI. Bill was born in Alma, MI on June 2, 1966, the son of Billy and Shirley (Hunnicutt) May. He graduated from Ithaca High School with the class of 1986. On June 17, 2015 he married Tammy Teed in Ithaca, MI. Bill had worked at Schnepp Healthcare in St. Louis for 25 years in the maintenance department. He was currently employed at Soaring Eagle Casino, Mt. Pleasant, MI. Bill enjoyed weightlifting, working in his yard, and playing with his dog Ellie. He collected Budweiser steins and liked antiques. Bill loved visiting with people, always treated everyone with respect, and put others before himself. He is survived by his wife Tammy May, sons: Tristan May and Tyler May, step children: CallyAnne and Clayton Scott, Hannah and David Wine, sister Toni May, mother in law Christy Teed of St. Louis, MI, brother in law Brian and Heather Teed. He is also survived by grandson Calvin, a granddaughter on the way, and nieces and nephews: Stephanie, Jonathan, Brandon, Allison and Jonah. He was preceded in death by his grandparents and mother. Memorials may be made to American Heart Association. Online condolences can be sent to www.smithfamilyfuneralhomes.com. The family is being served by Smith Family Funeral Homes, St. Louis, MI.